The training regimes featured have been adapted for a wider audience from those issued to members of the armed forces preparing for SAS selection. They cover diet-management, improving stamina and avoiding injury - relevant to anyone undertaking an exercise or fitness programme. The training regimes featured have been adapted for a wider audience from those issued to members of the armed forces preparing for SAS selection. They are not just about heaving weights and grunting, but cover diet-management, improving stamina and avoiding injury - elements that are relevant to anyone undertaking an exercise or fitness programme. Throughout the book, the emphasis is on progressive and cumulative exercise regimes, following on from a realistic self-assessment of current fitness levels. The training routines are reinforced with dietary and weight-reduction advice. 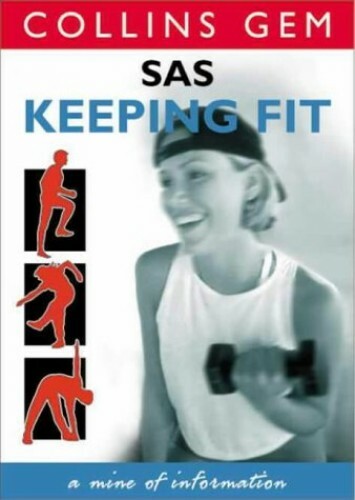 The book also provides a detailed insight into SAS selection processes and suggests typical training programmes that build to enable the reader to achieve the level of fitness required by the regiment.